Google Maps’ Snake game may have been an early April Fools’ Day prank, but the company has followed up with a “Screen Cleaner” for your smartphone that’s supposedly hidden in their Files App. Simply put, this software has a secret feature that eliminates the need to manually wipe the screen display, whether it be dislodging dust, smudges, or other residue. Supposedly, this is made possible through the API that can identify imperfections on the surface of the screen. Once detected, they’re shaken off by smartly targeted micro movements using the phone’s vibrating motor and haptic controls to generate micro vibrations to create a non-stick shield that further keeps your handset clean. Read more to see it in-action. 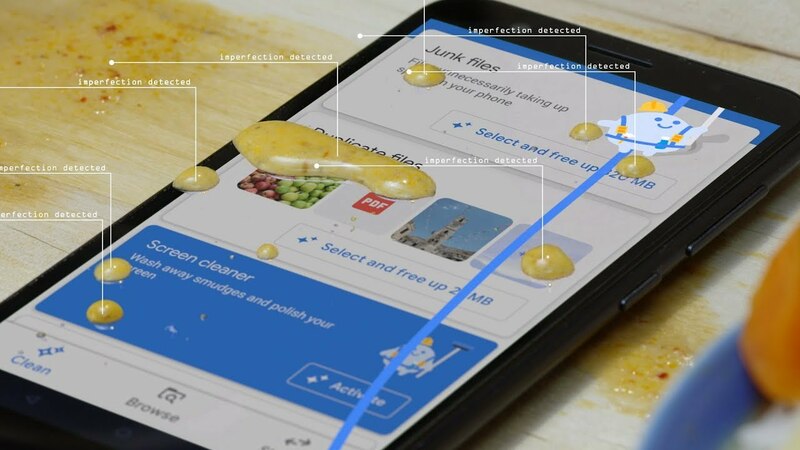 “Screen Cleaner comes integrated with Files by Google, an Android file explorer that helps users manage the contents of their smartphone, lean unwanted files, and share files offline. The app was first launched in 2017 under the name Files Go as a free app that can be downloaded through Google Play Store, being compatible with all the devices running Android 5.0 or higher. Once users install on the handset, users can see that the Screen Caller is ready to function,” reports The Indian Ware.